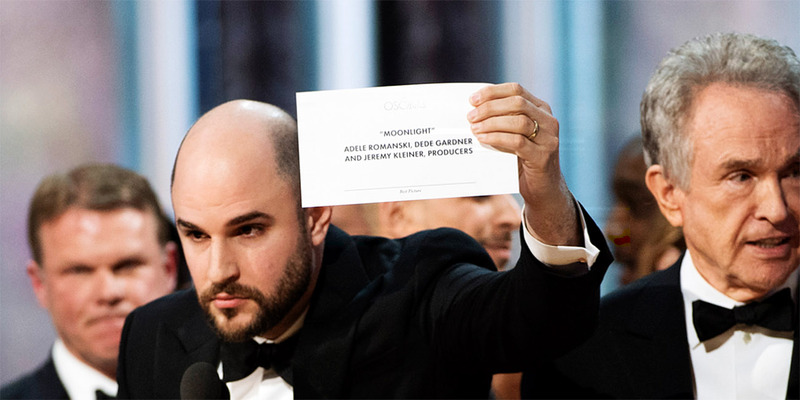 If you are a risk manager, don’t ignore what happened at Sunday’s Oscars. You must respond. As details emerge about how the wrong envelope was passed, traditional and social media are abuzz. Everyone’s fascinated. It is like rubbernecking at an accident by the highway. People want to know what happened. How did it happen? This human response is natural. It once served a purpose. Prehistoric humans lived in a dangerous world. If a neighbor froze to death in a snowstorm or was mauled by an animal, it was important that others learn from his misfortune, and avoid his mistakes. Human fascination with the misfortune of others may appear unseemly today, but it was once an evolutionary adaptation. That is why millions of people now ponder what went wrong at the Oscars, and how, if they were backstage, they might have prevented it. It is a pointless exercise. Few of us will ever find ourselves backstage at the Oscars. So why am I even talking about it? 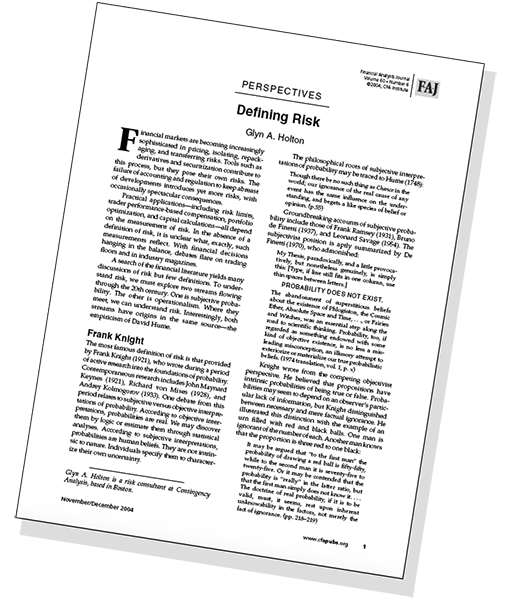 Because, if you are a risk manager, you need to talk about it. It is important for your career. When there are other stories in the news, people with expertise relevant to those stories share their views. They may do so around the water cooler, or during informal conversation prior to the start off a meeting. They do so because it is fun, but they also do so because it builds credibility. It’s a chance to play expert. Now there is a major risk event in the news. This is your chance to play expert. Seize it. The credibility you cultivate today will be invaluable when your company faces a real risk, and you need people to support you in addressing it. You need them to view you as their risk manager, so act like their risk manager. Become fully versed about the details of what happened at the Oscars. Experts don’t need facts explained to them. Start by asking others for their opinions, just as you would start any discussion of actual risks your firm faces by asking for opinions. You want to start a dialogue. Have your own opinions, but don’t be too quick to share them. Good risk managers are facilitators, so facilitate the dialogue. Finally, try to direct any conversation towards lessons applicable to your firm. Sure, your firm may not pass envelopes at awards ceremonies, but aspects of that process may be analogous to what your firm does do. For example, passing envelopes involves a low-probability, high impact risk of the wrong envelope being passed. Despite all the safeguards PwC took to ensure a smooth process—and there were many—their employees were apparently unfocused. One of them posted a photo to Twitter moments before he passed the wrong envelope. So there you have it, a lesson from the Oscars that is applicable to many firms. Maybe you can identify others, especially some more specifically applicable to your firm. If you can turn conversations about the Oscars into discussions about lessons for your firm, you will go beyond building your own credibility to actually addressing risks. 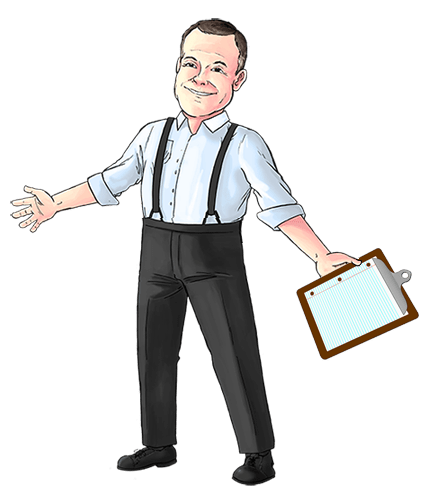 Winston Churchill once said “Never let a good crisis go to waste.” That applies to a crisis at your firm, but it also applies to a crisis outside your firm—even a crisis at the Oscars.